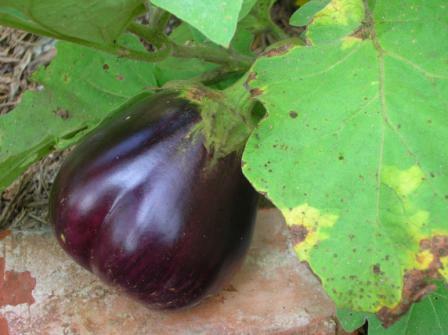 When you grow Eggplant, it's important to remember that it is a very tender plant. It requires a long warm growing season. Eggplant should not be planted until the danger of frost as passed. The eggplant is most likely a native of India and has been cultivated for a long time. It is a member of the nightshade family, making it a close relative of the tomato, pepper, and potato. The Eggplant is used in pleasing dishes that make this vegetable highly desired. Diseases: Bacterial wilt, Phomopsis blight, Verticillium wilt.